This is gorgeous. 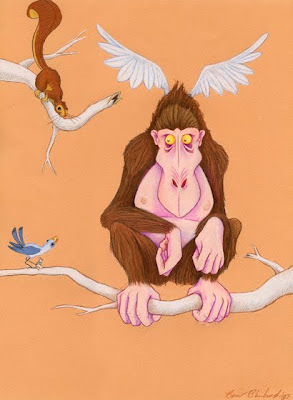 I love the expression on the flying ape's face. Wonderful illustration, great expression on your characters! This is great. So imaginative.